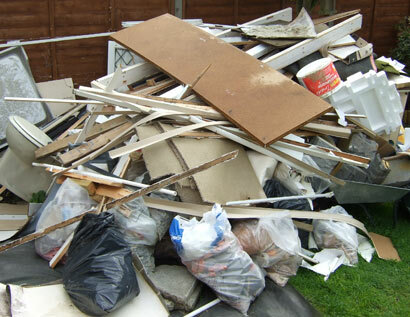 We are a professional company busy undertaking rubbish collections in Sydney. If you are looking for a regular or a one-off rubbish collection in Sydney, then you should look no further than our professional Sydney rubbish collection services. We clear and dispose of all the rubbish we collect in a legally abiding way, and also in an environmentally friendly way, and so you can rest assured that when you hire us, you are hiring professionals. You can easily arrange for us to undertake a rubbish collection for you on a regular basis, which is a popular service bought from us by businesses who regularly generate any amount of rubbish. This takes the job off your hands, and you can get on with your main job, safe in the knowledge that the rubbish is being collected regularly and disposed of by a professional company. We have an excellent reputation for our punctuality when it comes to our rubbish collection services, as well as our reliability in our rubbish removal services, therefore we prove popular with businesses of all sorts. In addition to this, many property owners all over Sydney looking for domestic rubbish collection services in Sydney hire us. We have all the right experience for the job at hand; the right rubbish removal vehicles for the job, and a sufficient workforce, which allows us to take as much rubbish away as we can. We are highly experienced in rubbish collection, and are able to carry out all our rubbish collection services effectively and efficiently. Please don’t hesitate to get in touch with us if you have any questions, we are always keen to help both existing and potential customers, and are happy to provide a free no-obligation quote. We pride ourselves in being competitively priced for Sydney rubbish removal, and are confident that we offer the best value around for our standard of professional services. Really impressed with the service provided by them. I have used them many times and always received the great response time and never let us down. My garden looks unrecognizable after the clearance and I am so grateful for the team who provided us the smart and professional service. The clearance of waste clutter in the house and garden was completed efficiently and easily by Unbeatable Skip & Rubbish Removals. When I returned home to inspect their work, I was completely amazed to see a sparkling clean home and garden. Wouldn’t hesitate to recommend your services to anyone. I ran a business, but it tends to create a trash daily. I was in need of rubbish removal company to help me to curb this problem. Unbeatable Skip & Rubbish Removals were recommended to me by my friend. I contacted them, the team arrived on given time frame, cleared the trash in a professional manner. Definitely recommend them for removal tasks. Since we have moved to a new house, I never got the time to clean my house properly. The junk started piling up in the front of the door. I contacted Unbeatable Skip & Rubbish Removals, they responded the same day, sent an inspection team for the clearance. Also, cleared the surrounding areas without being asked. Extremely happy. Sign up to our newsletter and stay updated. Copyright © 2018 Unbeatable Skip & Rubbish Removals. All Rights Reserved Graphic Design by IRIS Web Technologies . The Website Design | Development & SEO Company.